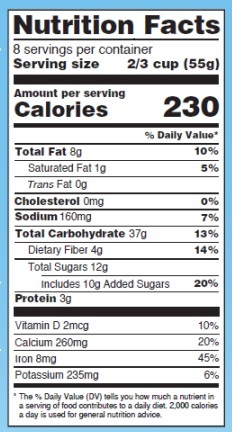 Providing the facts - one label at a time through Nutritional Labeling Analysis! New FDA Labeling Requirements were published on May 27th, 2016. Cherney offers two options for complete nutritional labeling services to achieve compliance with government labeling requirements. Standard turnaround time is 10-15 business days. Contact us if expedited services are needed. Using the ESHA Genesis Food Analysis Database, Cherney offers a cost-effective, fast, accurate and compliant nutritional label generated with the use of a robust database of components. This powerful tool can also be used for product development and recipe analysis. Standard turnaround time is 3-5 business days.